As teenagers, most of us at one point or another struggled to understand who we were. It’s a common experience at that age while trying to make sense of our new found sense of independence and our search for our identity. The crucial lesson was to learn how to be honest and truthful and not be what others thought we should be. What Karem Sanga’s film First Girl I Loved wonderfully captures is that sense of confusion that comes with being that age, especially when questioning your sexuality is part of the journey, and standing up to declare who you are to the world. While out taking photos of her school’s softball team, Anne (Dylan Gelula) spots star player Sasha (Brianna Hildebrand) and is immediately smitten. Far from being one of the popular girls in school, Anne devises a plan to meet Sasha under the guise of needing to do an interview for the yearbook. Sasha is a bit uneasy at first associating with someone outside of her circle but the two quickly become comfortable talking with each other. They begin to spend hours together and getting to know each other. As they get closer outside of school, their burgeoning friendship grows into something more meaningful. Both girls are confused by their unexpected feelings for each other and are initially ashamed of their secret. Sasha begins to be overwhelmed by this new side of herself that she is discovering and pulls away from Anne, cutting off contact and pretending she doesn’t know her. Anne’s anger begins her journey of better understanding who she is and what she wants. When an incident with the finished yearbook comes to light, the girls must decide if they are going continuing hiding their true selves or stand up and announce who they really are. Any teen that questions their sexuality as part of their growth journey will understand just how mentally taxing it can be. They are confronted with messages overwhelmingly heteronormative in nature and so it’s very easy to feel like an outsider who has something wrong with them when they don’t fit into the societal moulds they’re expected to. The film strongly explores this thematic element as the undercurrent to the story and it’s captured with an authenticity that can sometimes be difficult to accurately portray. There are moments when the acting and directing could have been stronger and times when the story structure becomes non-linear leading to a bit of confusion but ultimately the most important element of the film is the knowledge of how to understand these questions. Anne, while initially hesitant about the situation in which she finds herself, finds the courage to declare her true self with guidance from her mother and an encounter with a woman working at a blood test clinic. Despite being betrayed by Sasha and her best friend, she finds herself able to rise above their negativity. These are the core moments that help define our personalities and who we end up being later in life. 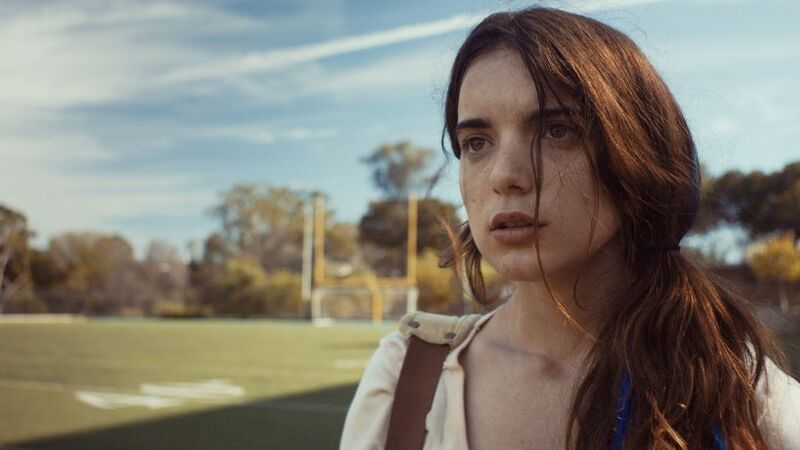 Dylan Gelula is able to find a grounded mental state in her portrayal of the character and what comes to life is a girl with commonalities that many people can relate to. It’s important for teenagers and young adults who may be going through something similar to see stories like this. When they see these types of characters experiencing feelings that they may also be struggling to make sense of, it allows them to know and understand that they aren’t the only ones out there that feel this way. The greatest takeaway from this film is that it teaches these messages of confidence and self-expression that are so valuable at this impressionable age.